Custom fields concept in WordPress is difficult to understand and implement for a lot of WordPress users. 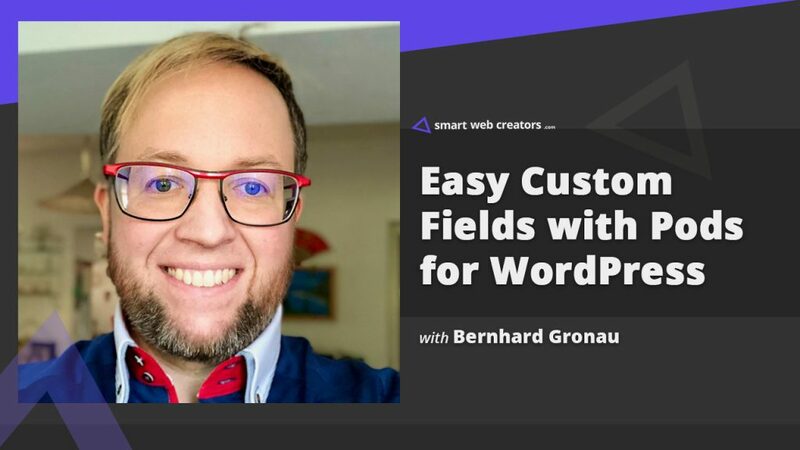 Bernhard Gronau explains the use case of custom fields and how Pods plugin makes it easy for users to add custom post types, custom fields in a WordPress website. He also talks about the integration of Beaver Themer addon with the Pods plugin. How did your journey with Pods development team start? How would explain or define custom fields to a new WordPress user? How do you decide, when to have custom fields and when not? Traditionally, custom post types and custom fields in WordPress are often looked as complex implementation for an average user. I know this is changing a little bit but why do think custom fields functionality is difficult to grasp? If you add a Custom field from the default feature provided in WordPress under the post editor screen, that leaves many users guessing. Could WordPress have done better at providing that feature to have less fearful introducing of custom fields to users? Pods plugin is my favorite for implementing Custom fields. Since you are actively involved with Pods development team and support, how would you define the use of the Pods plugin to a WordPress user new to the concept of custom fields? Based on your work experience at Pods support team, what type of users prefer using Pods: newbies, intermediates, or expert developers? Even though Pods is a free plugin, how would you sell or I should say recommend Pods plugin over other solutions like ACF, Toolset, Metabox? If Pods did not exist, which would be your go-to tool for custom fields implementation on WordPress websites? What are a few upcoming features in the Pods plugin? You exclusively made Pods Beaver Themer addon for better integration of Beaver Themer with Pods plugin. How did that idea come? Was the core pods team involved in it or you developed this Pods Themer addon yourself? Pods works fine with Beaver Builder, are you planning to expand this integration further into Elementor and other ecosystems? Do you see Gutenberg in any way affecting the use of custom fields or custom post types, good or not so good outcome? Are you doing something specific to make pods and pods themer addon play nicely with upcoming Gutenberg? For a new person, which resource, tutorial or place would you recommend for learning custom fields? Pods videos playlist, Comparing custom field plugins, Plan before you build by Jim True, PodsCast finding your way with Pods, PodsCamp Austin 2016 videos for building a complicated website with Pods. Beaver Builder and Pods are the most important tools. WP Rocket plugin is a great caching solution. I love Admin Columns Pro plugin and is part of my stack. Local by Flywheel for local development together with PhpStorm. I have own configured server, heard great things about Digital Ocean. For small websites, I use MailPoet for basic emails. Project Huddle is good for client project management and feedback. I build a few of my first WordPress websites for close friends and family members while I was studying Information Technology and Telecommunications. About 4 years ago I built my first project using the Pods plugin. This was a website at the Austrian Government where my best friend and the designer works. She did the design part and I did the technical development stuff on that project. Back then I used ACT, today it would be CPT and it still uses wp-rest api v1 + DataTables (back and frontend). I have been involved in Pods plugin support out of love for the plugin and this involvement has grown over the time. I am officially part of the Pods team. Pods project remains free courtesy donations via friends of Pods endeavor, feel free to contribute. Nathan, glad you like it. Awesome episode Davinder and Bernhard! 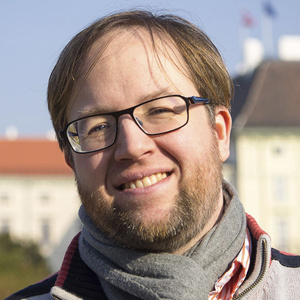 Are there any example sites by Bernhard I can see?